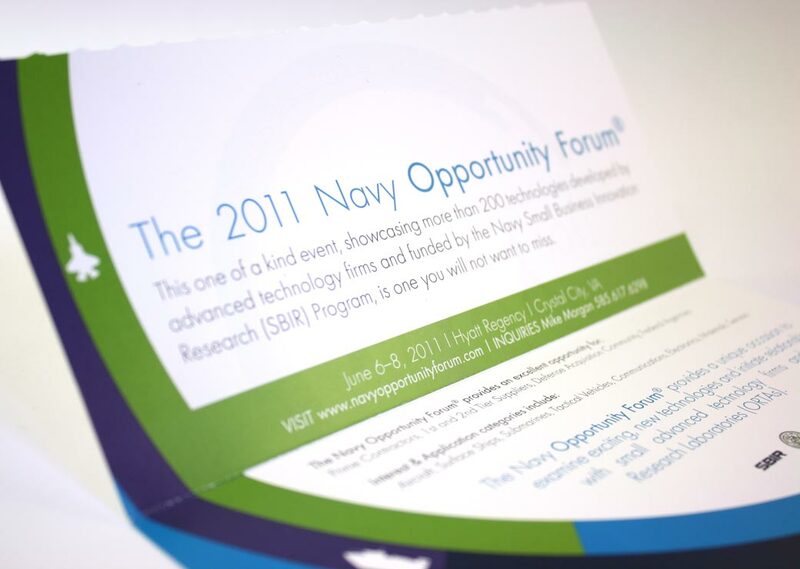 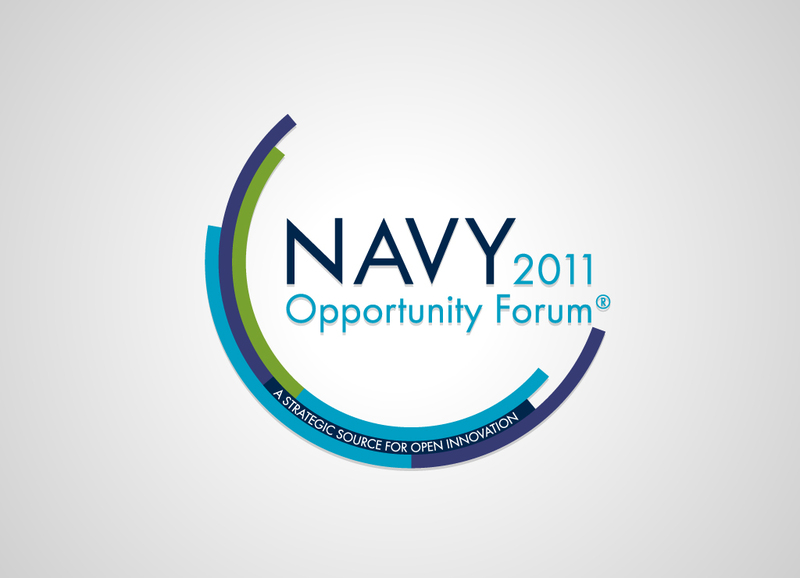 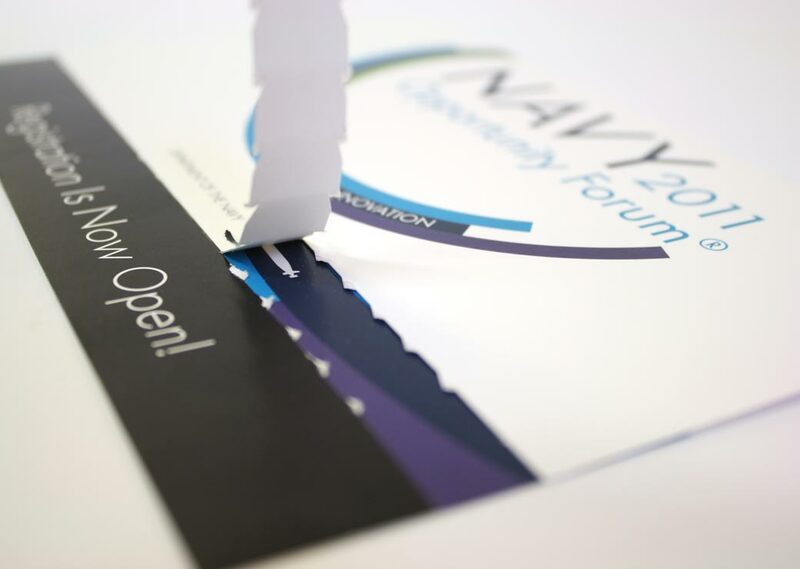 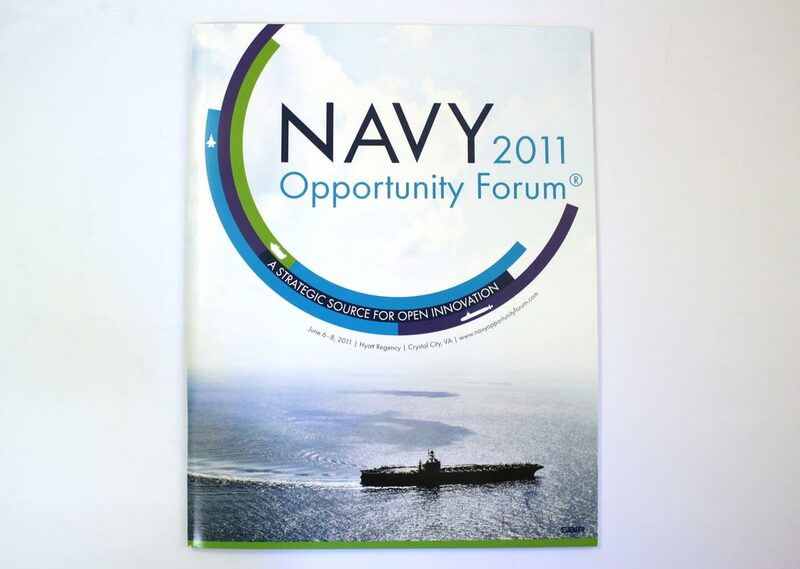 Making the old new again is one of the challenges when it comes to designing the Navy Opportunity Forum materials. 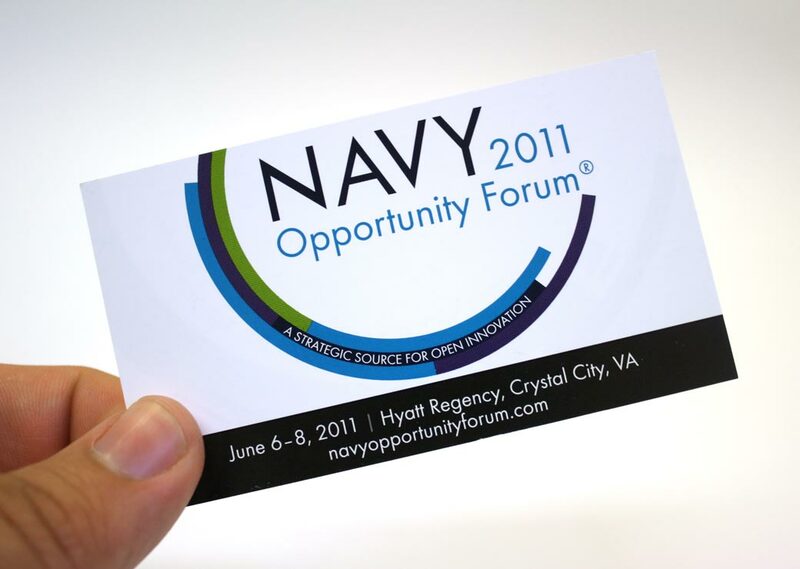 The Forum is an annual event, and each year the team is charged with creating a new, eye-catching logo and design scheme that helps solidify the event’s identity. 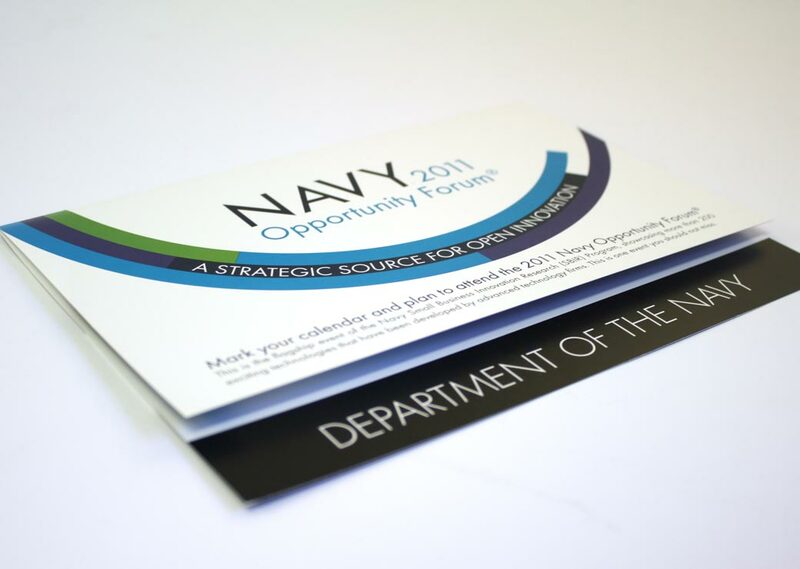 These elements are applied over a period of several months to a set of promotional materials that includes business cards, posters, postcards, tickets, and event materials.